Listed below are some of the Frequently Asked Questions that we are asked followed by their respective answers. The questions are in no particular order and we encourage you to scroll down to be sure to see all of the answers. What do funeral directors do? Funeral directors are caregivers and administrators. They make the arrangements for transportation of the body, complete all necessary paperwork, and implement the choices made by the family regarding the funeral and final disposition of the body. Funeral directors are listeners, advisors, and supporters. 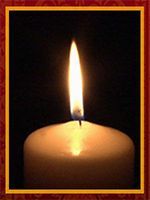 They have experience assisting the bereaved in coping with death. Funeral directors are trained to answer questions about grief, recognize when a person is having difficulty coping, and recommend sources of professional help. Funeral directors also link survivors with support groups at the funeral home or in the community. What should I do if the death occurs in the middle of the night or on the weekend? We are available 24 hours a day, seven days a week. Feel free to call us any time at: (717) 394-4097 and we will be happy to assist you. Will someone come right away? If you request immediate assistance, yes. If the family wishes to spend a short time with the deceased to say good bye, this is perfectly acceptable. We will come when the time is right for you. If a loved one dies out of state, can the DeBord-Snyder Funeral Home & Crematory still help? Yes, we can assist you with out-of-state arrangements, either to transfer the remains to another state or from another state. Please be sure to call us first at (717) 394-4097 to discuss your options. What purpose does a funeral serve? Traditionally, funerals are the customary way to identify death and its finality. Funerals are recognized rituals for the living to show respect for the dead and to help survivors begin the grief process. Are there religious considerations I need to be aware of when planning a funeral? Some religions have specific preferences or requirements. If you don’t know, ask your clergy member or one of our funeral directors. Why have a viewing? Viewing is part of many cultural and ethnic traditions. Many grief specialists believe that viewing aids the grief process by helping the bereaved recognize the reality of death. Viewing is encouraged for children, as long as the process is explained and the activity is voluntary. Private viewings, which are closed to only selective friends and family members, are available as an alternative option to a public viewing and can be just as effective in the healing process. What is the purpose of embalming? Embalming sanitizes and preserves the body, retards the decomposition process, and enhances the appearance of a body disfigured by traumatic death or illness. Embalming makes it possible to lengthen the time between death and the final disposition, thus allowing family members time to arrange and participate in the type of service most comforting to them. Do you offer cremations? Yes, in fact the DeBord-Snyder Funeral Home & Crematory has more experience when it comes to cremation than any other funeral home in Lancaster County, as we have owned and operated our own on-site crematory since 1992. I have decided on cremation; can I still have a funeral or viewing? Yes, quite often some sort of viewing precedes the actual cremation. Cremation is simply an alternative to earth burial or entombment for the body’s final disposition. We will be happy to explain to you all of your options if cremation is your chosen form of disposition. What government agencies are available to help with funeral expenses? 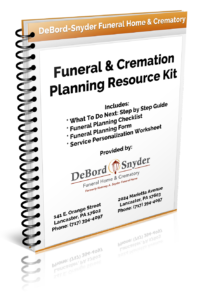 The funeral director at DeBord Snyder Funeral Home & Crematory will help gather the necessary information to apply for financial assistance from Social Security, Veteran’s, and any other applicable association.